One of the best things about modern technology is that it's malleable. The IT infrastructure at the heart of your organisation can essentially be anything you need it to be. However, this also represents one of the biggest challenges that comes with any digital transformation effort — there's truly no one-size-fits-all approach to what you're doing and the idea that there is one right way to approach these efforts is a myth. Embarking on a digital transformation without an IT strategy is a bit like setting out for a road trip without a map — you may have a vague idea of where you want to end up, but the chances of you actually getting there in one piece are slim to none. 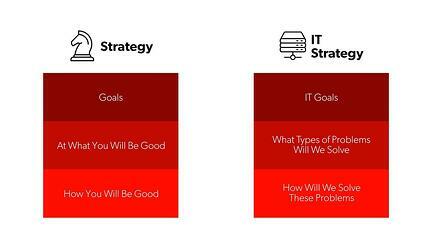 What is an IT Strategy? A timeline of initiatives and projects that you will undertake. A prioritised list of opportunities for improvement. High-level justifications for any, and all decisions. The estimated cost and duration for each stage of the digital transformation. Although there is no one right way to do any of this, there are certainly a better paths to take. With that in mind, consider the following four examples of great IT strategies from organisations of all shapes and sizes. Note that these are not things that you should try to replicate literally in your own organisation, but they do provide valuable insight into the types of elements that your own IT strategy roadmap must contain. The focus of UO's own strategy quickly became an effort to “improve academic and research excellence”, which is noble but also required officials to totally rethink how IT services are provided across such a major educational institution in the first place. Governance: They emphasised a way to not only consolidate their existing IT infrastructure, but doing so in a way that addressed the needs of individual academic areas and IT staff members as well. Leveraging Resources: Their strategy was built around the idea that IT resources are limited and short-term initiatives were created to help conserve those resources. Investments: They recognised that significant investments were critical to help guarantee that the new IT infrastructure was successful in the long-term. Transformation: Acknowledging that this is a long-term process, UO made sure that every element of their IT strategy was A) realistic, B) measurable, C) repeatable, and D) easy to update so that key stakeholders could track progress on a long-term basis. In the end, The University of Oregon was left with a strategic planning process that allowed itself to be continually updated as new challenges develop, which is something that all organisations, regardless of industry, should focus on. 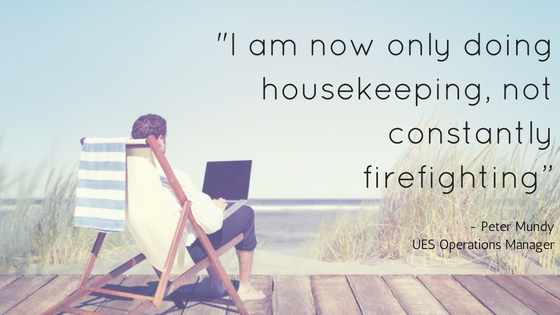 Another example of a terrific modern day IT strategy comes by way of UES, a company that found it increasingly difficult to manage their own in-house hardware and systems as the infrastructure around them continued to grow and evolve. Recently, key decision makers at UES recognised that the time was right to move their own servers, many of which dated back to 2004 and ran Windows 2003 to a data center. The outdated technology they were working with, however, made this move less than successful. Because their technology was so outdated, certain core upgrades could not be done. A current version of SQL was not compatible with their existing environment. This had particularly challenging ramifications for their critical ERP (enterprise resource planning) system. Significantly lower upfront capital costs. A much faster setup and configuration process for their servers. Last but not least, we have another educational organisation, Harvard University. Not only is their IT strategy the perfect example to follow for businesses of all types because it was an important part of their efforts from the very beginning, but it also includes broad representation across all areas of the university. In the end, what Harvard was left with was the perfect way to both meet the demands of today and better prepare themselves for the challenges of tomorrow too, which is ultimately what any IT strategy should be able to do. Since originally establishing itself as a modest credit union in July of 2013, Beyond Bank (then known as Community CPS Australia) got to a point where they knew they needed to do something different. 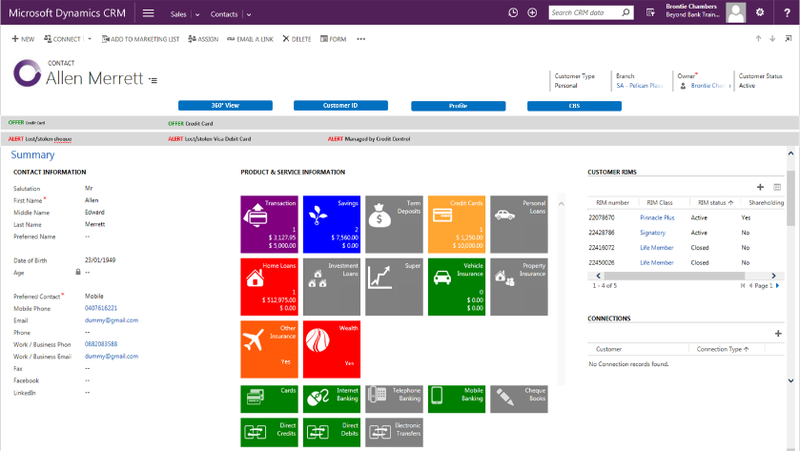 In an ongoing effort to continue to improve the customer experience whenever possible, the organisation recently made history by being the first bank anywhere in Australia today to implement the next generation of business intelligence tools namely Dynamics 365, with its own partner, UXC Eclipse. To embrace new opportunities in order to make their own internal processes more efficient. Create the most exceptional customer experience in the market. Any one of these goals would be a challenge, to say nothing of how difficult it was to tackle all of them in tandem. But with the solid foundation of Dynamics 365 upon which to build on, Beyond Bank was able to continue their digital transformation into a value-tuned business that focused equal parts on the needs of their customers and delivering an unforgettable customer experience. Staff members use Dynamics 365 to obtain real-time data from core banking processes and applications and now have a total 360-degree view of every customer under their care. Want to know more about IT Strategy? As these and other examples show, IT may be powerful, but at the end of the day, technology is just a platform. The platform itself is less important than what that platform allows you to do. Without the right IT strategy at your side, you'll never be able to break free from the myth of the one-size-fits-all approach to technology to develop something that truly meets the needs of your organisation on a cellular level, as well as acts as the engine to drive your entire business forward into the next decade and beyond. 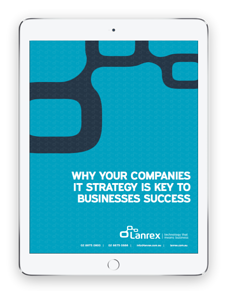 If you'd like to find out more examples of the core elements of a great IT strategy, or if you have any additional questions that you'd like to see answered, contact Lanrex today.